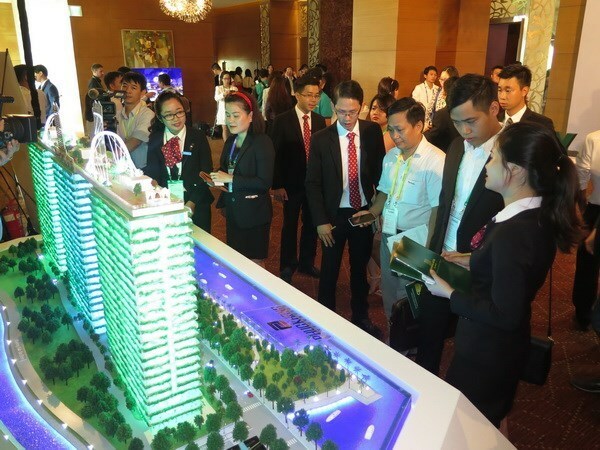 Last year witnessed many mergers and acquisitions (M&As) in Vietnam’s real estate sector, and foreign investors’ interest in the market is forecast to continue in 2018. Thu Thiem, a new residential area in Ho Chi Minh City, recorded several big deals last year, including cooperation to develop the Thu Thiem River Park project between Hongkong Land and Ho Chi Minh City Infrastructure Investment Joint Stock Company. Also in the fourth quarter of 2017, CapitaLand announced it had bought a condominium project covering 1.45ha in District 4 of HCM City at 40 million USD. The purchase raised the number of housing projects owned by the Singapore-based firm to nine in HCM City and 11 in Vietnam. Many insiders expressed belief that 2018 will be another big year for foreign investment in Vietnam’s property market. Senior Director of CBRE Vietnam Duong Thuy Dung said real estate led all sectors in attracting foreign investment in HCM City last year. She predicted it will continue to be a magnet for foreign investment in 2018, and investors from Asia, especially Japan, will still make up the majority. “In 2018, foreign investment in the property market will begin to reap outcomes when projects are finished and handed over to clients,” she noted. However, she added, domestic businesses still lead, which can be seen in their total investment capital in the market and the total number of projects for sale. Echoing this view, Stephen Wyatt, Country Head of JLL Vietnam, said Vietnam has considerable attraction to foreign investors thanks to its huge potential. Real estate was among the top five sectors receiving most foreign direct investment in the country in 2017.